Summary: Any new round adopted must not just be for a new model of rifle, but easily compatible with the vast number of 5.56mm weapons already in service. That implies that it be based on the .222 Rem/.223 Rem/.221 Fireball case so it can be used in unmodified magazines and belt feed systems. Terminal ballistics at combat ranges is the area in need of improvement, not extreme range performance. This implies the largest bullet from which we can get acceptable exterior ballistics. Acceptable exterior ballistics can be taken to mean any performance better than the 7.62x39mm. This suggests a calibre of 6.5mm-7mm. My initial thoughts were that a 115gr 6.8mm round appeared to be a good starting point for a case of this powder capacity. I'd christened this proposed round the 6.86mm ARC and this round was featured in Special Weapons for Military & Police no.27 (many thanks to Stan Crist for the mock-ups of the rounds). The 6.5mm bullet in a .223 case was also of interest (and was to become my preference). Stan beat me to the punch on that one so this is known as the 6.5mm SCC rather than the 6.5mm ARC! The 6.8mm or 6.5mm in a .223 case will not equal the 6.8mm SPC on paper but will still out perform any assault rifle round in current use, and the only modification needed is a new barrel and possibly a new gas port and tube. That means economic and logistical benefits as well as improved performance. The 6.8mm SPC requires new magazines and is not compatible with current belt feed mechanisms. JD Jones of SSK Industries now markets the 6.5mm MPC round based on a .223 case. I'd like to think that some of the discussions reproduced on this page had some part to play in this. Below is a table generated with the Real Guns Exterior Ballistics Calculator estimating the performance of the 120gr 6.5mm MPC round fired from a 20 barrel. For a while it looked like that if the Army did change calibres the round would be the 6.8x43mm SPC. This is not as economical a solution as I have proposed, since in addition to a new barrel the round will require a new bolt and the scrapping of all the current magazines in stock. There have been some complaints about the quality and reliability of the current issue mag', so this may be a backdoor way to introduce an improvement. Adding a witness window or clip-together option to the new magazines does not yet seem to have been considered. Adopting the 6.8mmSPC will be more expensive than using the 6.86mm ARC, but this is relative when you look at the cost of a single F-22. Far-Zero (yds). 293 Max Ordinate. +5.5"
Every gun discussion group on the net has at least one member who has an idea for a new round- I've fielded a few myself over the years. Realistically though any new round must be capable of functioning in current weapons. The army has tens of thousands of M16s, M4s and M249 weapons, not to mention countless tons of magazines and spares and these are going to be around for many years to come. Any round that requires a new weapon will not get anywhere. 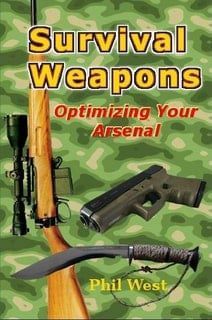 Fitting existing weapons with new barrels is a more practical option, particularly since it may be possible to bore out existing barrels to the new calibre. 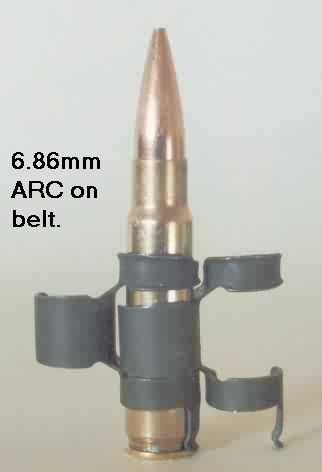 Therefore any new round should be based on the same case as the 5.56x45mm and be capable of fitting in an M16 magazine. Another consideration is that a new round needs to be an assault rifle round. Under rare circumstances Assault rifles have been used to snipe at targets more than 800m away, or are used to suppress an enemy over 600m away. It must also be borne in mind, however, that combat rounds are not just intended to be fired from rifles. 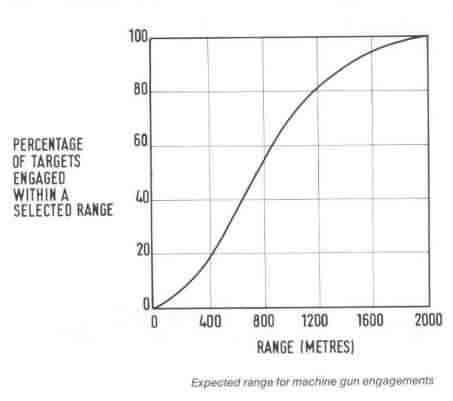 The cumulative frequency graphs shown on this page for both rifles and MGs show that for a rifle 72% of shots are 200m or less and only 3% at greater than 400m. With such data it is easy to understand how the 7.62x39mm has soldiered on and how the 5.56x45mm seemed like a very good choice (ignoring the problem of terminal effects for the moment). The firepower of a squad is not just its rifles, however and the chart for MGs shows 50% of all engaged targets as being beyond 750m. A new infantry round needs to consider both MG and Rifle needs, rather than looking at just the rifle use as has often been done in the past. Rounds such as the 6.8mm SPC and 6.5mm Grendel fall short in this respect since although they have good exterior ballistic performance their cases are not compatible with the belt-feed systems of the LMGs currently in service. Nobody complains about the accuracy of the 5.56mm. What the problem is is variable terminal ballistics, particularly at ranges over 200m, where the round is unlikely to fragment. If you hit the CNS it doesn't matter what you are shooting as long as it has sufficient penetration. This is how snipers and poachers can use 22LR effectively. 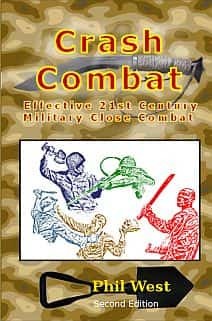 In combat you don't have time to be sure of your aim, so need to inflict more damage. Even so, there are no "Wonder Bullets". Individuals hit in the heart have been known to survive and keep shooting for another ten seconds. Man sized hogs and deer have been known to run more than 50yds, even when fatally hit by weapons such as powerful .375 rifles. We need a round that produces greater and more consistent terminal effects. We need a round that achieves the above while still maintaining practical exterior ballistics. We need a round that can be fired existing weapons without the weapon needing extensive modifications. One of the best ways to increase terminal effects is to use a bigger bullet. Quite simply:- bigger hole, quicker blood loss. Obviously we want a round bigger than 5.56mm. Based on the performance of the 7.62x39 and the .30 Whisper and .30 Apache, which both use .223 brass, a 7.62mm round is too big. A round of 7.62mm calibre in a small case either results in a bullet too light for its calibre that "runs out of steam" too soon, or a very slow round with a very curved trajectory. This leaves a calibre range of 6-7mm. This range includes 6mm/.243, .257, 6.5mm, .270 and 7mm. Full power hunting rounds in these calibres are noted for their good terminal effects, flat trajectories, good exterior ballistics and mild recoil. Big game hunter W.D.M Bell killed over a thousand African elephants, mainly using 160gr 6.5mm and 175gr 7mm for brain shots. The efficiency of all of the above bullets is due to that they are usually found in weights that give them a very high Sectional Density (SD). Sectional density describes a bullet's weight in relation to its diameter. Put simply, the more weight on a given area, the better the penetration. 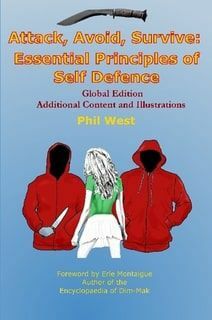 This means a bullet is more likely to reach vital organs, pierce cover or penetrate armour. It also means the round is more effective at "piercing" the air in between the firer and the target. The higher the Sectional Density, the better the round's Ballistic coefficient. The higher the ballistic coefficient the less energy and speed the round looses in flight. This means the round takes less time to reach the target, and drops less, which gives the firer more room for error in his estimation of range, wind and lead. The 100gr 6mm, 115-120gr .257, 120-125gr 6.5mm, 130gr .270 and 140gr 7mm all have an SD of around 0.246 +/- 0.004. This is much higher than the 5.56mm M855 (0.178) and the 147gr Standard issue 7.62mm NATO (0.221) round. 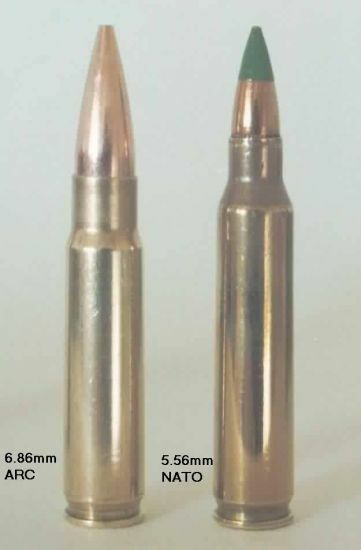 In fact the SD is in the same order as the 165gr 7.62x51mm. To gain a SD of 0.245 a 5.56mm round would have to weigh 86gr, and such a round is probably too long to fit in the casing. 6-7mm bullets of these weights are commercially available and have been fitted in .223 brass for use in the Thompson Contender pistol. Trails will have to be done to find if they will cycle in a M16. There is no point having a hard hitting round if you can't hit the target. Technology can only do so much. The shooter must also know what he is doing. There is, however, room to minimize shooter error. The main factors that will cause a shooter to miss his target are not allowing for wind, bullet drop or target movement. The effect of all of these are reduced by a flat trajectory, a short time of flight and long point blank range. A round with a higher Sectional density improves all of these. Using larger heavier rounds we may not get performance equal to the 5.56mm, although the higher sectional density and improved ballistic shapes may offset this somewhat. Any performance superior to the 7.62x39mm will be acceptable. These are the starting points. The rest must be determined by trials. I'd prefer the biggest calibre we can get acceptable exterior ballistics from. It maybe that in a shorter cartridge case some of these calibre/weight combinations will not reach their full potential, so a 120gr 7mm bullet may shoot flatter than the 140gr 7mm. As has already been mentioned, a large part of the 5.56mm bullet's terminal effects are from its tendency to fragment. This tendency disappears when the velocity drops below a certain level. For a bullet fired from a 20" barrel this happens beyond 200m, for a 16" barreled weapon this is beyond 150m. Barrels of less than 14.5" do not produce sufficient velocity for fragmentation. Most current assault rifle bullets are boat tailed. Boat-tailing or "Steamlining" only begins to contribute to a round's ballistics at subsonic speeds. Depending on local conditions the speed of sound is between 1000-1100fps and a quick glance at the tables below will reveal that the 5.56mm and 6.8/6.86mm rounds are moving faster than this to well beyond 700yds. Even the M43 is only just dropping to this speed at 500yds. In other words, assault rifles bullets are supersonic to well beyond their usual effective range. Some writers have argued that boat-tailing is unnecessary for assault rifle rounds and that eliminating this feature would make rounds easier to manufacture and more accurate. It would certainly shift the bullet's centre of gravity back, which would encourage tumbling. The British and Belgium .280 rounds both used non-streamlined bullets, as did the Mk VII, the standard round for the Lee Enfield. Trajectory, Streamlining and Ballistic coefficient. Boat-tailing a projectile gives it a higher ballistic coefficient, which makes it look better on paper, but in practical terms this has little effect at combat ranges. Chuck Hawk's page describes two .243 spitzer rounds, one boat-tailed, both of 100gr weight and of greatly differing BCs (.357 and .400). Difference in supersonic trajectory is only 0.3" inch less rise at 200 yards, and 1.9" less fall out at 500 yards. Many new rounds are being proposed with hollow-points or frangible match ammo. While the restrictions of the 1899 Hague convention do not apply to conflicts involving non-signatories such as the US and UK I don't think a hollow-point is necessary for a new assault rifle round. What is needed is a round with capability against hard cover and body armour while still maintaining good terminal effects on unarmoured targets. The configuration that I propose would be a non-streamlined spitzer round with a brass or steel point. It is a not particularly well know fact that pointed solid brass rounds have been found to be very effective against body armour. Such a point will either be made from a thickened section of bullet jacket or a separate piece with the softer jacket swaged/crimped to it. The rear section of the bullet will have a lead or tungsten core to move the centre of gravity to the rear and encourage tumbling. The .303 Mk VII bullet had a tip of aluminium or wood pulp to produce a similar effect. It is possible that this bullet will have a space filled with air or light material between the tip and the core. Another feature that will encourage tumbling is an asymmetrical point or spoon tip (Loeffelspitzung). This feature can be added to rounds without effecting exterior ballistics. Companies such as Barnes are offering bullets made entirely of copper alloy, and the possibility of these or a totally brass round for military use also needs investigation. JD Jones has observed that flat-based (non-streamlined) .303 ammo has the tendency of expanding to fit the rifling of a worn Bren gun barrel. A hollow-based rifle round should have a similar effect and would increase the surface area of the round's base. Hollow bases are a common feature in pistol ammo, but I'm not familiar with them being used with rifle rounds. Increasing the surface area of the round's base will offer a greater area for propellant gases to press against. There is an alternative strategy that I've suggested, which is to fit the rifle with a 9mm barrel and issue rounds that have a saboted 6-7mm bullet. Since the bullet does not come into contact with the rifling one can make it a very aerodynamic shape, such as the reversed tear drop shape Prof.Haack proposed in the 1930's. The advantage of this system is that the weapon could also fire heavy subsonic full calibre 9mm rounds for CQB or clandestine missions, without any more modification than just changing magazine. Such rounds would also be more useful in short barreled weapons, since they are less dependent on velocity for terminal effects. I've commented that it would be nice to have a biodegradable material for the sabots, and oiled hardwood has been suggested. Possibly the sabots could be designed so that they help keep the rifle's bore clean. Although this is an idea with great potential, JD Jones points out below that it is not compatible with M16 magazines. 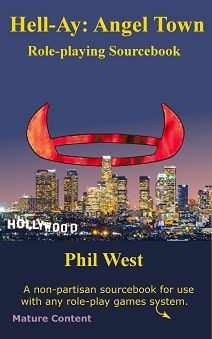 Since the first draft of this page was webbed, I've received some additional information, mainly from JD.Jones, the inventor of Whisper rounds and Stan Crist. Several of the Whisper rounds are compatible with the M16 series and are based on the .221 Fireball brass, which is a shortened .223 case. JD: The 6-7 mm and .30 cal on the 223 case as used in the T/C are far too long to use in the M-16. SC: It looks to me that the .222 Remington case -- if the neck is shortened 2mm to make it 5.56x41 -- is about the longest case usable with 7mm bullets, and still fit M16 mags. JD Jones: Quite close--the shoulder can be blown forward to give several grains more powder space. The 222 case with a 30 in it does cause mag problems -- not insurmountable -- but still problems. With 7 mm I haven't noticed anything that would lead to problems. SC: It looks like the M16 mag does not need modification to be used with a 7mm round. JD: Yes--magazines are the problem---the 6mm PPC case with the bullet seated to 223 OAL. The 7mm BR case--or the 25 Remington (about extinct) may also be better. In quantity an M-16 Mag can be modified to use the 300 Whisper® in about 10 seconds with no operation other than a holding fixture, mandrill and a 2 pound hammer. Many of them work fine---the variation from manufacturer and the same manufacturer is absolutely appalling. The mag doesn't even have to be disassembled. SC: Is this alteration necessary for the 7mm Whisper? JD: No, not at all on any I've encountered. We mill out about .100" wide by 1.5" long slot in the bottom of the rib (from the top toward the bottom) to clear the 30 cal bullets. If you go much farther the spring "bellies" out. Thermold--some Orolite and even some standard M-16 Mags are OK. I shot it for about a year before running into the ones that gave problems--then it seemed all gave problems. The Thermold has a spring about 2X as strong as normal---an advantage with .30 240 grain loads. PW: Several things now seem to be evident. The first is that my 9mm barrel and 6-7mm saboted bullet idea won't work in a weapon that still uses standard M16 magazines. Adopting the .300 Whisper round is also not an option for general service as well as 7.62x39mm type ballistics the round can't be used in M16s unless the magazines are modified. What has come to light is that the supersonic forms of the existing 7mm Whisper and 6.5mm Whisper seem likely to meet the criteria that I've suggested. The 6.5mm Whisper® is available in bullet weights of 85-160 grains and the 7mm Whisper® in 100 to 185-grain. Both work in AR-15/M-16 as well as other type guns. Both of these rounds will have better terminal ballistics than a 5.56mm, particularly when fired from short barreled weapons. Being Whispers® both are available in heavy subsonic loadings for special missions. There are still some doubts as to whether a 7mm 140gr bullet would be sufficiently flat shooting fired from such a case. "120 gr 7mm has SD of .213, compared to .221 of 147 gr 7.62mm, and .219 of 77 gr 5.56mm". Basically the same as the 77gr 5.56mm, but making a bigger hole, so still an improvement. I'd still like a bullet with a SD of around .246, which suggests a 100gr 6mm, 120gr 6.5mm or a round between the 6.5mm and 7mm. A likely candidate for the latter is the 130gr .270 bullet that is used in rounds such as the .270 Winchester. I call this Whisper® type round the .270 ARC, 6.86mm ARC or 6.86x35mm ARC, to emphasize its more general applications. In the Winter 2003 Edition of Special Weapons for Military and Police Bob Pilgrim's article makes a passing reference to the 6.8x43mm round mentioned on Mike's page as being experimented with for the SPC (Special Purpose Carbine). I've selected a 300yd zero for the 6.8mm and 245yds for the 7.62mm M43 to give them a similar mid-range trajectory to the M855. For the M855 and M193 I've used 300m (328yd) and 250m (273yd) zeros as is common practice. Muzzle Velocity: 3100 ft./sec. Sight Height: 2.5 in. Zero Distance: 328 yds. Muzzle Velocity: 3200 ft./sec. Sight Height: 2.5 in. Zero Distance: 273 yds. Muzzle Velocity: 2329 ft./sec. Sight Height: 2.5 in. Zero Distance: 245 yds. Muzzle Velocity: 2750 ft./sec. Sight Height: 2.5 in. Zero Distance: 300 yds. Using the above tables a graph of trajectories was sketched, and a target area of 11" assumed for estimating Mean Point Blank Range (MPBR). It is no great surprise that the M855 had the longest MPBR and the M43 the shortest. What is impressive is that the 6.8mm round shoots point blank to 350yds/320m. Trajectory out to 300yds is near identical to that of the M855. This means that for targets out to 300m the round can be aimed exactly like a 5.56mm, with little requirement to holdover. At beyond 300m the 6.8mm zeroed to 300yd follows a very similar trajectory to the M193 zeroed to 250m. Holdover at 400m is c20", and at 500m c48".A target between 300 and 400m can be engaged by using the top of the head as a point of aim. Beyond 400m it is probably wise to "dial in" the range or use a graduated optic scope. At the most likely combat ranges the 6.8mm has the same trajectory as the 5.56x45mm. Time of flight is also the same, so converting to 6.8mm will not need extensive retraining. The 6.8mm round has the same energy at 250yds as a M855 has at the muzzle. Since the 6.8mm is of a larger calibre and greater sectional density it will use this energy more effectively when producing terminal damage. At 600yds the 6.8mm has the same energy as a 7.62mm M43 at 275yds, a M193 at 250yds and an M855 at 375yd. Not surprising that initial trials suggest the 6.8mm has impressive terminal effects! The work done by JD Jones at SSK with the Whisper rounds suggests that a subsonic "6.8mm" round for special applications is more than likely. Some form of CQB round is also possible, although whether this would be extra light, extra heavy or something like a duplex load I'll not speculate. The introduction of new bullets and barrels offers other opportunities. Some commerically available bullets have a solid dry film lubricant coating that reduces friction and copper fouling in the barrel. It would also be a good time to introduce Polygonal rifling. This is already used in some H&K assault rifles and extends barrel life as well as reducing fouling and increasing accuracy and velocity. "At what velocity could you fire a .270 bullet from a .223 casing? To estimate this we can assume that a 125gr .277 bullet would leave the muzzle at the same velocity as a 125gr .30 bullet fired from the same case. The 125gr .300 Whisper can reach 2438fps, so I generated a table using this velocity and the other characteristics of the .270 bullet. Muzzle Velocity: 2438 ft./sec. Sight Height: 2.5 in. Zero Distance: 265 yds. MPBR is about 310yds, which is sufficient for an assault rifle and better than the M43. Holdover at 400m (437yds) is c34", which could be better but is easy to remember at least. Quick aim would probably be a head height over the top of the head, but for ranges over 300yds a shooter will probably be able to adjust his sights. Time of flight is good. After half a second the .270 ARC is only 50yds behind a .223. At one second the .270 ARC has essentially caught up with the .223. The round bucks the wind slightly better than the M193 and much better than the M43. In energy levels the ARC shows a fairly constant 100yd advantage over the M855 and is considerably better than the M43 and M193. Being of a larger calibre and with greater sectional density it will use this energy more effectively when producing terminal damage. A round that produces greater and more consistent terminal effects. A round that achieves the above while still maintaining practical exterior ballistics. A round that can be fired existing weapons without the weapon needing extensive modifications. Bottom line is the .270/6.86mm ARC shoots flat to 300yds and would have better terminal effects than any assault rifle cartridge in service. Stan Crist (with help from JD Jones) has kindly built a mock-up of the 6.86mm ARC round, which is shown compared to the 5.56mm. "This is a reply to the guess work all the supposed smart people are doing on the 6.8x43mm. It would appear that our operational security is working real well. But here are a few bits for you guys to chew on. Its not made from a .25 Rem. case, or reforming .223 brass, how do I know, I designed it. It has nearly the same flight path as the 7.62x51mm M80 ball round out to 650 meters. Delivers approx 4 times the energy on target at 300 meters compared to a SS109 round. The gel block tests are awesome. It drops a 150-300 lbs feral hogs like an axe, also works great on whitetails. My first choice was 7mm projectiles, but the users wanted something with a flatter trajectory, closer to the 5.56. Tested all calibers 6mm, 6.5mm, .25, 6.8 (.270 for Americans, oh actually the Chinese came up with the 6.8x63mm in the 1930s), didn't do much testing in .30, because it would only be an American M43 cartridge. This was not a private endeavourer nor a fully sanctioned government project, just users and a gun builder making a better product for our guys on the ground, in harms way." My question about what brass was used was not answered, nor have I heard anything further. 29-10-2003. This link on the 6.8x43mm round provided by Carlton Meyer. This cites a 115gr bullet at 2650fps, compatible with M16 magazines. Performance seems to be similar to that I've predicted for the .270 ARC. Many thanks to Stan Crist for forwarding the following Press Release from Remington. "The 6.8mm Remington SPC is an intermediate length rifle cartridge based on the 30 Remington case. Designed to function in M4/M16 type rifles, the 6.8mm Remington SPC was specifically developed to provide increased reliability, incapacitation, and accuracy not only at close quarters combat distance, but ranges out to 500 meters. The 6.8mm Remington SPC, (Special Purpose Cartridge) will be offered in three versions for 2004, including Remington's new Premier� Match, line of ammunition. The 115 grain MatchKing� BTHP bullet will deliver a muzzle velocity of 2800 fps and 2002 ft-lbs of energy while providing low felt recoil and 1 MOA accuracy at 100 yards. The 6.8mm Remington SPC will also be available in both BTHP and Metal-Case 115 grain versions." I rechecked the info JD sent me. 2438 fps is chronographed m.v. for a 125gr .30 Whisper from a bolt-action rifle, but 2283 fps is out of an AR15. You can't assume that .277 bullet will have same m.v. as .308 bullet. I made this mistake when estimating m.v. for 6mm Optimum. With same weight bullet, m.v. is typically significantly less for smaller caliber. For instance, 6mm PPC has approx 100-150 fps less m.v. than 6.5mm PPC with same weight projectile. A result of the gases having less area (on the bottom of the bullet) to push against, or so I've been told. Bear in mind I didn't really try to see what I could get [for max velocity]. There might be another 100-200 FPS lurking out there." The 6.8mm in a .223 case will not equal the 6.8mm SPC, but will still out perform any assault rifle round in current use, and the only modification needed is a new barrel. It seems that the 6.8mm SPC will fit in a M16 magazine, but these will probably need to be modified to work more reliably. Certainly a point in favor of the 6.86mm ARC. JD:- Looked over the summary. Looks good. A couple of things I have noticedalmost all of the 300 Whisper® HV data is from 10" barrels. I also tend to be somewhat conservative in my loads due to wide brassbulletcomponents on the open market. I fooled around with the 25, 30 Rem case a long time ago. It is simply a 30-30 case turned into rimless. Case head expansion was a problem before ballistics got interesting. I would expect the 6.8mm SPC case head has been considerably strengthened over commercial brass. I do not believe those ballistics will come from modified commercial brass safely. Apparently a new round does NOT have to be able to reliably use the M-16 mag unmodified. I'm told SOCOM as already dumped the 6.8mm SPC and the Navy isn't interested. Also that the Navy and some SF units are buying it. Who knows? Ballistically it is the same thing as the 270 JDJ (225 Win case) which does 2480 FPS with a 130 from a 14" Contender (about a 1980) development. It has always been a reasonably good 300 yard deer cartridge but in my business any 270 has little following . In 1980 only the 6.5mm had a decent array of game bullets in the 6mm-7mm diameters. Now there are decent bullets in every calibermaybe not many but some. Just about everything to do with the 222 case to make it as powerful as possible and still work in M-16 mags is beyond the ability of 99.9% of civilian users. The 30 Apache or 30/223 has been around for along time and not at all popular. A full length 223 case even with a 125 grain bullet will have OAL problems in an M-16. In the TCU and similar cartridges to make them properly function the M-16 is going to require quite a bit of work, probably including specific bullet developed for the round. Loaded to M-16 mag length a large number of bullets will have a gap between the case neck and ogive of the bullet. Up to this point in my business there is very little interest in any chambering for the AR-15/M-16 other than for the 300 Whisper and 223/5.56. That is primarily why I haven't done much with the 222 case just neck expanded. It will be interesting to see what commercialization of the 6.8mm Rem SPC will do for popularity in the AR-15. 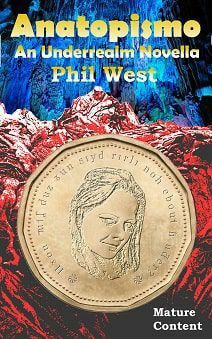 Available in Handy A5 and US Trade Formats.